How Distributed Marketing Boosts Local Sales. InterContinental Hotels Group (IHG), one of the largest hotel companies in the world, faced the challenge of providing its locations with relevant materials specific to their properties and regions without compromising brand integrity, compliance or visibility over the communication’s effectiveness. General Managers (GMs) or Directors of Sales (DOSs) of hotel locations rarely had the time or expertise to execute marketing campaigns. Those who weren’t satisfied with the one-to-many collateral provided by corporate marketing often created their own materials to promote their specific property. This issue, combined with limited and scattered analytics from a large network of brands and locations, have made marketing inefficient and ineffective. 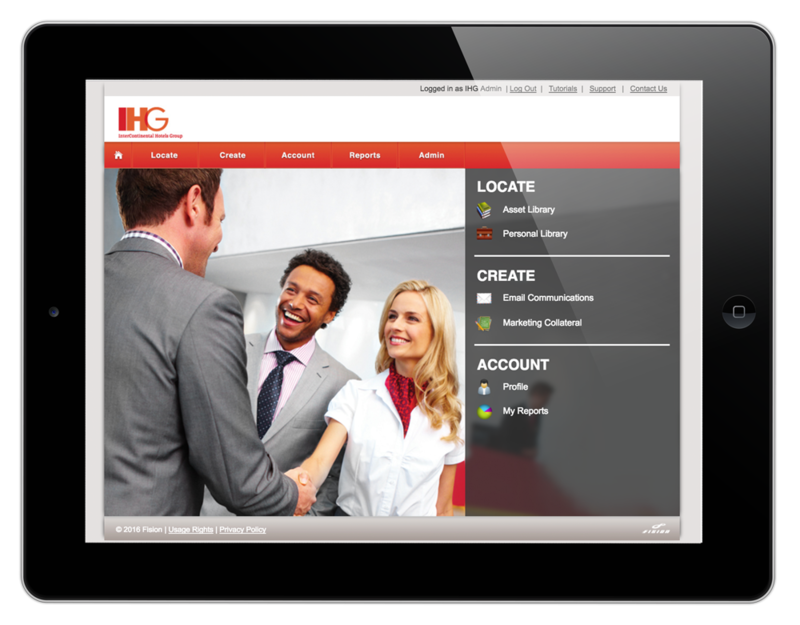 The FISION team worked with IHG to develop a localized marketing strategy that empowered each location to create its own customized materials with property specific imagery and messaging in a brand and legally compliant environment.